Wikipedia also tells you that a coffee cake can also be a sponge cake, which is made with coffee or has a coffee flavour. Now I would never have guessed that! All this reading up on coffee cake made me want to make some! After my earlier experiment with microwave apple cake, I thought of further coming out of my comfort zone and whipping up an eggless coffee cake in the microwave. I'm not really a big fan of hot coffee but I love the flavour of coffee in desserts. I did not want any icing on the cake, instead I wanted it to be flavoured with honey. Somehow I'm not yet comfortable about using eggs in my microwave cakes, so I thought of omitting them. I also used oil instead of butter which gives some sort of richness to the strong coffee flavour in this delicious cake. *If you are using 100% pure coffee powder like Nescafé Classico, use 1½ tbsp. However if you are using a coffee-chicory blend like Nescafé Sunrise Premium instant coffee powder, use 3 tbsp, since it is milder than pure coffee. Dissolve coffee powder in boiling water and keep aside. In a bowl combine flour, baking soda and salt. In a separate large bowl, mix sugar and oil. Add the coffee solution, honey and vanilla and mix well. Add flour mixture little by little and mix well. Pour milk a little at a time into this and mix thoroughly making sure no lumps are formed. [If you are using melted butter instead of oil you will have to mix harder. You can use a handheld electric mixer if you can't get rid of the lumps]. Grease a large microwave safe bowl liberally (or line with parchment paper) and pour the batter in it, such that it fills 2/3rd of the dish or less. Microwave uncovered for 8 to 9 minutes. [The cake will not be completely baked but will have moist spots all over]. Switch the microwave off and leave the cake untouched for 10 to 15 minutes. If you want to invert the cake, let the cake cool for another 30 mts. 1. Cooking time may vary depending on the microwave. 2. There will be moist spots specially in the center, which will be taken care of during the standing time. If you wait till the cake becomes completely dry before turning the microwave off, then the cake may become rubbery. This is because the cake continues to cook even after you turn the microwave off, by the heat generated within it. 3. If you store the cake for a few days, it may turn dry and hard. If that happens, just microwave the slice of cake for a few seconds and consume immediately. 4.If you are using melted butter instead of oil, the cake may need an additional minute of baking. Sprinkle powdered sugar on top or enjoy with a dollop of vanilla ice-cream. The cake exudes a wonderful aroma when it's being cooked in the microwave. Coffee-lovers are so going to love this smell! Interesting cake...Looks yummy..will try it soon. Delicious and spongy cake. Perfect ones for a evening with coffee !! Cake looks so delicious and tempting that I cannot resist myself. Wonderful presentation. Wow! It's quick and delicious! the cake looks moist and soft. very nice. Happy Ganesha Chaturthi to you and your family. Hope Lord Ganesha brings happiness and peace in your life. coffee anything always gets a thumbs up rom me! your cake looks moist and so yum. nice clicks and awesome cake! Nice clicks and awesome cake, feel like grabbing it from the pic. I tried this cake yesterday apy, it tasted so delicious. My husband loved it. I can't believe I made a cake in the microwave which tasted so good ! 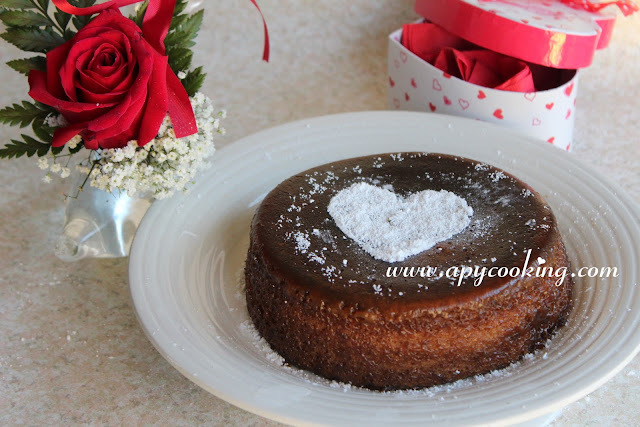 Hi , I made this cake and loved the flavour of coffee in cake since i am a coffee-lover! and so easy too ! but it was a bit too sweet for me inspite of not adding honey and reducing 1 tbsp of sugar frm 1 cup ! !next time would restrict to 3/4 cup sugar for 1 cup flour ..will it cause any change in texture if i do so? Can you tell me what coffee powder you used? 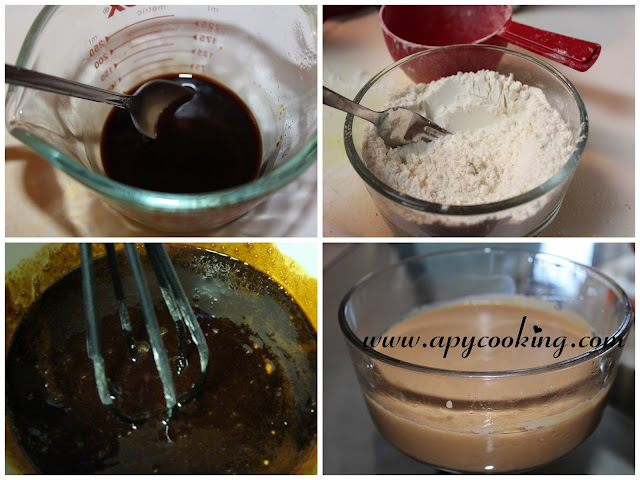 If it is Nescafe Classic or Folgers, you need to add 1 and 1/2 tbsp of coffee powder. And if it is Nescafe Sunrise, then add 3 tbsp. If you add less than this, probably the sugar would be too much. I used 1 1/2 tbsp of Nescafe Red Mug Decaf . Next time will add a li'll more maybe 2 tbsp and will get back to you . I'm guessing that the decaf needs less sugar since it is not as strong as the regular coffee. Maybe next time you can increase the coffee powder to 2tbsp like you mentioned or use any of the coffee powder I mentioned in my earlier response. I would, however, urge you to use honey as it gives a nice flavor to the cake. I didnt have honey so didnt add it. Hi Aparna,I want to try baking this cake tomorrow..just had a few queries, do i need to preheat the microwave..i have an onida black beauty microwave so was wondering if i can used it for baking cakes.if i can, should i bake the cake in normal micro mode..
i love cakes and am looking forward to making this beautiful cake..
Tultul,this cake is made in the regular microwave mode. You don't need to preheat the microwave. Just use a microwave safe bowl (not aluminium cake pans) since it is made in the microwave mode and not convection mode. I tried this recipe and it came out good. Very easy to prepare.Thank you for sharing it.. Thanks for trying. 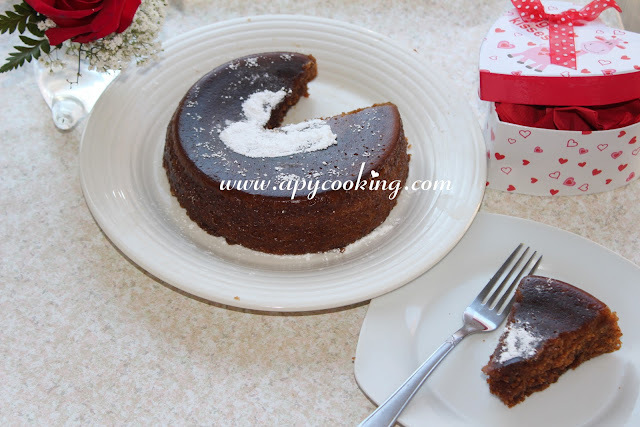 I will be posting a Microwave Eggless Chocolate Cake recipe soon. hi, i tried this cake today... was very happy... it was my first attempt at making a cake! i used whole wheat instead of maida, as didnt have it at home... i felt vanilla essence took away the coffee aroma :-( but the cake tasted delicious! Great to know you liked the cake, Ruchi. Thanks for trying and thanks for your feedback. wow delicious cake,am gr8 fan of coffee flavours...yum yum. Should I use regular micro oven mode? Interesting recipe! Thanks for sharing. Hey.. I wanted to know..that if i want to make this cake of three layers..then i should just increase the quantity ×3? And should the water in which the coffee would be dissolved be increased? Hey..i just wanted to ask u that if i want to make this cake for three layers..then the quantity should be increased by 3? And the water in which the coffee is to be dissolved is also increased? Increase the quantities and cook it separately. Too much batter can cause overflowing in your microwave. Can it be baked in convection mode?